Trofim Denisovich Lysenko was an insignificant agriculturalist who thought he had a new way of developing crops that would vastly increase food production in the starving Russia of Stalin. It was called �vernalisation�, and it included treating seeds before cultivation to affect their behaviour. 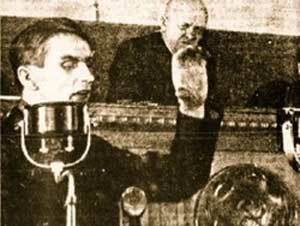 Significantly, Lysenko introduced his ideas first through politics, in which he benefited from weighty support. Some argue that his precepts had a Marxist flavour, because they asserted that biology could be modified in the way that communists wanted to control people�s behaviour. The government was anxious to increase food production and to quell disturbances among the growers, while Lysenko was an adept propagandist. He became a cult leader who impressed the peasants. Lysenko was the head of the Soviet Lenin All Union Institute of Agricultural Sciences, and he ran the nation�s research in this field. He promised to triple or to quadruple crop yields. Opposition to Lysenko was not tolerated, and was labeled �bourgeois� or �fascist�. Lysenko used his position to denounce Mendelian geneticists as �fly-lovers and people haters�, which had serious consequences. From 1934 to 1940, with Stalin�s blessing, numerous geneticists were shot, and others exiled to Siberia. Nikolai Ivanovich Vavilov, for example, a truly great geneticist and biogeographer, was sent to Siberia, where he died of starvation in 1943, while Lysenko, in person, took over his role as Director of the Lenin Academy of Agricultural Sciences. Any survivor of the purge had to keep quiet. In 1948, genetics was officially labeled a �bourgeois pseudoscience�, and genetic research came to a halt. Krushchev also supported Lysenko, but, after his departure in 1964, the Academy of Sciences investigated the records, and a devastating critique of Lysenko was made public. The ban on genetics was finally lifted in 1965. This page contains a single entry by DaveH published on October 19, 2008 12:35 PM. That's it for tonight was the previous entry in this blog. Obama's past - some questions is the next entry in this blog.